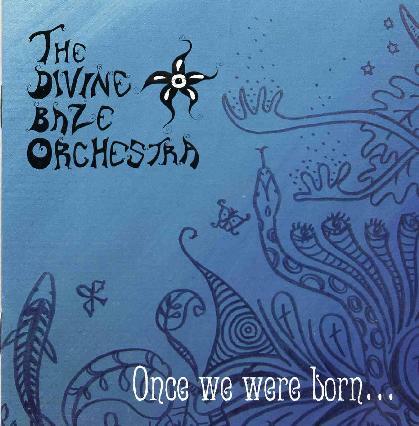 The Divine Baze Orchestra is a new Swedish progressive rock band. This is quite a difficult CD to review so be patient… The CD starts off with some Leslie effected organ before the heavy hard hitting music kicks in. The band nicely mixes mellotron and heavy organ in this track with some clear King Crimson influences. I just tell you straight up, Alexander, the lead singer has a very different voice and some will like it and some will not like it. The band really goes for these big and dramatic organ and keyboard sounds and riffs. Choose your Green is a quite hard hitting track with a sort of frantic pace and crazyness about it and Alexander does these horrible screams but then some of his vocals are quite cool. Trota di Mare begins with a guitar solo and is a real footstomping rocker and reminds me a bit of Uriah Heep. Not just because of the wah guitar and organ. Orange and Turquoise features the guitar player, Oliver, on lead vocal and is a really cool blues track with a nice organ and guitar solos and something totally different from anything else on the CD. In Search is a quite melodic track but still it has this edge to it and the band go into a wicked little guitar and organ jam like thing but sadly it is too short. Little Man is back with the massive organ sound driving the beginning of the track. Great dymanics in this track. The Person, at 6 minutes, is one of the longest tracks and has a real driving organ sound before the track takes off and sounds just like good old Deep Purple, until the singer comes in and steals the flow… The band comes back with a furry later and great organ jam and some mellotron. The Man from my mother’s Brother features a quite jazzy guitar solo. Burned by the Sun ends this debut CD and is a bit more experimental than the rest of the CD and also the longest track at 7½ minutes.